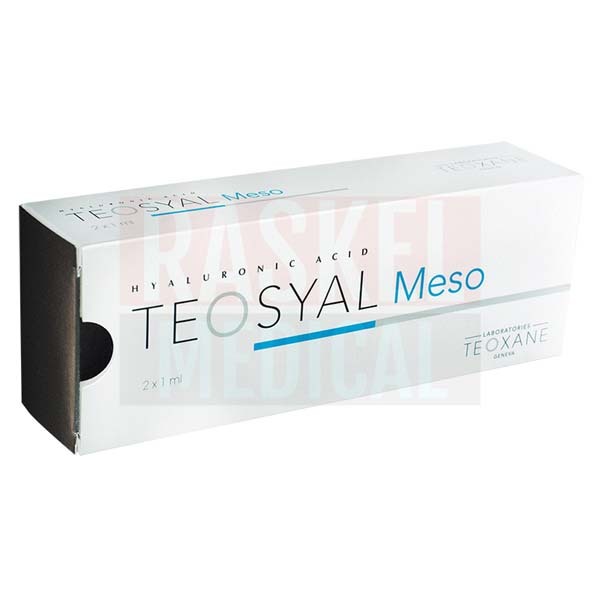 Teosyal Meso is a dermal injection used for mesotherapy treatment. It is part of the Teosyal product range of skin enhancers that are intended to revitalize and rehydrate the skin. It is a hyaluronic acid-based gel filler that is viscoelastic, sterile, and colorless and works to smooth and moisturize the skin by replenishing dry and damaged skin with substances that have been lost through the process of aging. Men and women of all ages and skin types can benefit from treatment with this soft tissue filler and will notice a marked improvement in the overall firmness, texture, and elasticity of the skin. 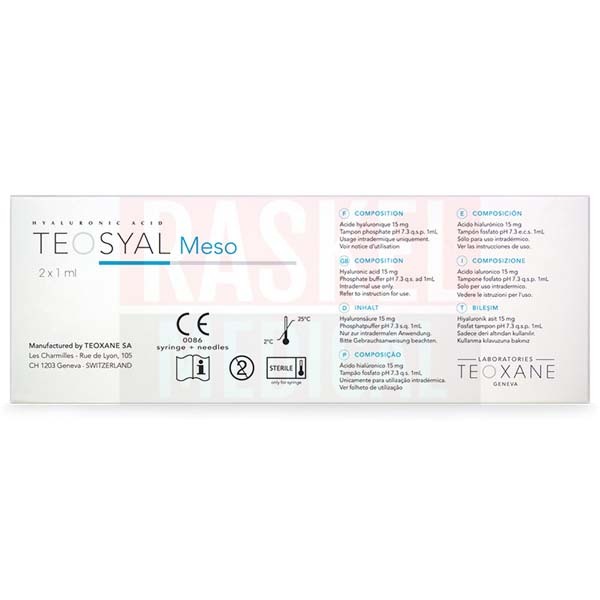 Using hyaluronic acid, which is a substance found in the skin and other areas of the body that is responsible for retaining moisture, Teosyal Meso revitalizes dry and damaged skin in the face, neck, decolletage, and the back of the hands. Compared to other dermal fillers, the hyaluronic acid in this injectable is much less dense, offering simple hydration as opposed to volume. It is the least dense gel in the Teosyal range of products and is often used as a preventative treatment in younger patients. Teosyal Meso is manufactured in Switzerland by Teoxane Laboratories, a company that specializes in hyaluronic acid-based dermal fillers. The hyaluronic acid in this dermal injectable is of non-animal origin. Teosyal Meso is a safe and trusted dermal injection that offers anti-aging treatment without surgery. There are some mild side effects that may occur immediately or shortly after injection, including pain, discomfort, inflammation, swelling, itching, and bruising at or around the treatment area. These reactions will resolve themselves without intervention within a few days, though medical should be sought if they worsen or persist. 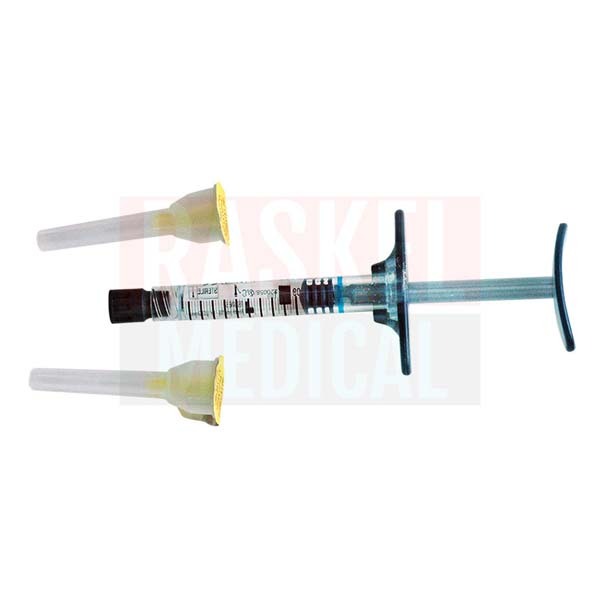 The gel is provided in a prefilled sterile, single-use syringe. Mesotherapy has become a popular treatment for patients in their 20s to help combat and prevent premature signs of aging. This treatment is suitable for patients of all ages and skin types to boost and restore the health of the skin in areas such as the face, neck, decollete, and backs of the hands. Inject Teosyal Meso into the skin of the neck, face, the back of the hands, and decolletage. Slowly inject the solution into the superficial layer of the dermis in the treatment area using a 30G½”. Use a multi-puncture technique for best results with each puncture separated by 1cm, with each injection reaching a depth of approximately 2mm. Once the gel is injected, gently massage the treatment area to ensure even distribution within the skin. The treatment schedule will depend on the state of the patient’s skin and the level of correction required. Typically, 2 to 3 treatment sessions at an interval of 3 or 4 weeks will be the initial treatment. Afterward, maintenance treatments can be administered every 2 to 3 months. 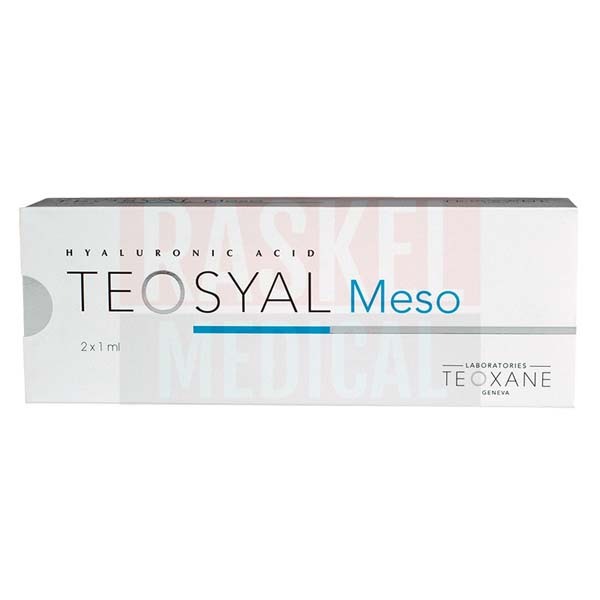 Teosyal Meso is composed of non-animal hyaluronic acid. The hyaluronic acid is cross-linked for increased stability and has a concentration of 15mg/ml. Hyaluronic acid is a naturally occurring substance in the skin that provides a lot of moisture, though its production slows as the skin ages. As is the case with many medical cosmetic procedures, the duration of the results will vary by patient. The results depend on many factors, including the lifestyle, age, and skin condition of the patient, as well as the injection technique used to administer the injectable and the area being treated. On average, patients can expect results to last between 2 to 3 months. For continued results, patients can receive maintenance treatments every 3 months. Each package of Teosyal Meso comes in sterile packaging that should be kept away from sunlight and handled with care. The syringe should be kept in the original packaging and should be stored in temperatures between 2°C and 25°C. Always examine the packaging prior to use to ensure that the product has not been tampered with prior to using the solution on a patient. The expiration date can be found on the product label and the dermal filler should never be used past the stated date.